Dr. Putterman has been in private practice for over 35 years, and has had extensive experience during that time, having performed over 20,000 oculofacial plastic surgery procedures. He is Professor of Ophthalmology and Co-Chief of Oculoplastic Surgery at the University of Illinois College of Medicine. He has also served as president of the American Society of Ophthalmic Plastic Surgery and The Chicago Ophthalmological Society. He is a fellow of the American College of Surgeons and has served on their certification committee. He is one of approximately 30 doctors in the USA to be privileged to have an approved oculofacial plastic surgery fellowship. Dr. Putterman has published over 375 scientific papers, mostly on oculoplastic surgery procedures and instruments he has invented. He has contributed to more than 50 textbooks, and recently published the 4th edition of his definitive textbook, Cosmetic Oculoplastic Surgery. Dr. Putterman has also given over 365 lectures in his field, both nationally and internationally. 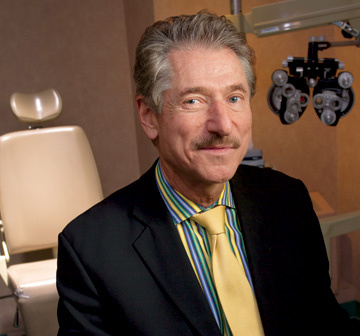 During his illustrious career, Dr. Putterman has garnered many prestigious awards, including recognition in each publication of the Best Doctors Book since 1994, including 2014, a listing in Ophthalmology Times “The Best Ophthalmologists in America,” inclusion in Chicago Magazine as one of the “500 top doctors in Chicago,” and Town and Country Magazine as among the “outstanding medical specialists in the United States.” He was the only Oculoplastic surgeon among five doctors to receive the 1998 “Recognition for Achievement in Ophthalmology” Award from Ophthalmology Times. In 2003 & 2006 he was the only Oculoplastic surgeon in the Midwest to be listed in America’s Top Doctors (Editors Castle Connolly) and one of two Oculoplastic surgeons in Illinois listed in The Best Doctors in America by Woodward/White. In January 2004 & 2006, he was the only Oculoplastic surgeon included in Chicago Magazine’s 350 Top Doctors as chosen by their peers. In 2007 he was one of three oculoplastic surgeons in the Midwest listed as America’s Top Doctors. From the first edition in 2001 through 2017, Dr. Putterman has been listed in Castle Connolly Top Doctors book and in January 2010, 2012, 2014 and 2016, in Chicago Magazine Top Doctors as one of the top doctors in the Ophthalmology category. He has also been listed in the Best Doctors (Woodward/White) 1994-2017. 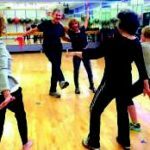 Dr. Allen Putterman was once again, in January 2019, listed in Chicago Magazine’s Top Doctors. Dr. Allen Putterman was invited to the 1st EENT Hospital National Oculofacial & Orbital Surgery Conference in Shanghai, China. He gave a lecture on all the updates and nuances of the Muller’s muscle conjunctival resection ptosis procedure he has invented. He also lectured on minimal and non-invasive oculofacial plastic surgery procedures, and lastly, on his experience in developing operations and instruments during his career. He is also a black belt instructor of NIA, which combines the martial arts, the dance arts, and the healing arts. He is a certified Zumba instructor as well. A pioneer in the field of Oculoplastic surgery, Dr. Putterman has extensive years of experience, and is recognized both nationally and internationally. He has invented numerous procedures and surgical instruments which are used by Oculoplastic surgeons worldwide. Dr. Putterman's reputation leads other doctors not only to refer their patients to him, but also, to seek their own treatment from him. Dr. Putterman is a Professor of Ophthalmology and Co-Chief of Oculofacial surgery at The University of Illinois in Chicago. Over 30 physicians have completed Fellowships under his training. 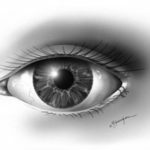 Trust your eyes and face to a surgeon who specializes in oculofacial plastic surgery. All ASOPRS members are board-certified ophthalmologists who have completed advanced training in eyelid, orbit, tear duct system and facial cosmetic and reconstructive surgery.